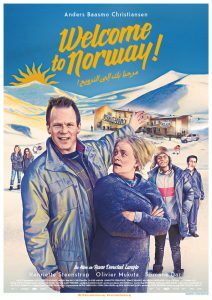 Primus is the owner of a hotel in the Norwegian mountains, which he tries to save from bankruptcy by converting it into a reception centre for refugees. This dynamic, enterprising man, who has seen numerous projects fail, is motivated by financial gain. But living with fifty or so people from a wide range of backgrounds is no easy matter, especially if you harbour a streak of racism.